eyeQ is an online platform designed to improve the skills, knowledge and performance of your employees by using Virtual Reality for training. With eyeQ you can create, manage, distribute and analyse your own VR training scenarios. 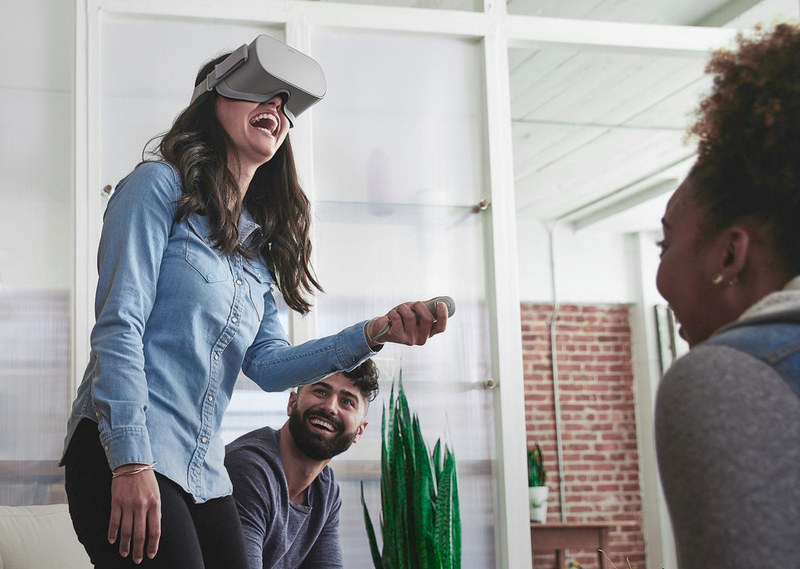 Upload 360° content, create training questions, design different VR scenarios and let your employees learn, train and examine in a VR experience. This way, eyeQ is a modern immersive way of learning which creates VR training in a blink of an eye. EyeQ is powered by Smart2IT, known for Innobrix and Smart2VR. EyeQ is designed to make VR for training simple and user-friendly. It is place-and timeless and supports the Oculus Go. Contact the eyeQ team, choose your subscription and log in. Put your created 360° images and videos in your media library. Design your VR training with the uploaded content and types of questions. Distribute your VR scenarios to the Oculus Go and see how your employees are doing. With eyeQ you can create, manage, distribute and analyse your own VR training scenarios easily and quickly. Manage your (360°) content, types of questions and your VR training in an easy-to-use CMS. 360° content and training questions can be used, stored and modified for multiple VR scenarios. A good VR training consist of learning, training and examine your employees to improve their knowledge and performance. Choose the type of question that best fits the goal and situation that you want to train in your VR scenario. Analyse the performance of your employees when they have finished your VR training and save their results. EyeQ supports the Oculus Go. The best stand-alone and wireless Virtual Reality headset on the market at this moment. Design your VR scenarios with eyeQ and invite your employees for the VR training. It’s that easy. Upload your 360° content and 2D images in the media library. Create your VR training questions with the different types of questions available. Then, create your VR scenarios with the questions and 360° content you made. Enter the data of the employees and let them experience your VR training. View and analyse the employee's results. Improve your employees by using learning, training and examining during your VR scenarios. The employees are learning the situations, type of questions and the correct answers. The employees are training if he/she can give the right answers according to the situation showed. The employees are taking an exam to test their gained knowledge. Check the situation in VR and pick the best matching image. Pick the correct images and put them in the right order. Look around and identify the wrong (or correct) situations. Answer right or wrong on the shown image in the VR situation.